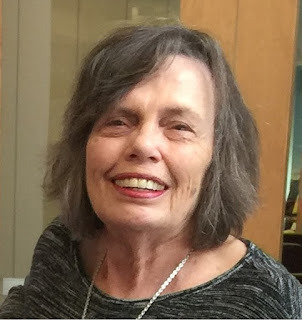 If you love mysteries, you won’t want to miss an evening with Seattle author, Mary Daheim on Thursday, April 11, 7pm at Third Place Books in Lake Forest Park at Town Center, intersection of Bothell and Ballinger Way NE. This event, sponsored by the Puget Sound Chapter of Sisters in Crime, celebrates the publication of Daheim’s 31st (!) 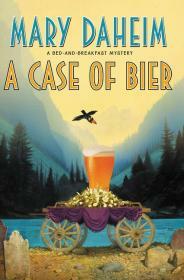 novel in her ‘Bed-and-Breakfast’ mystery series, “A Case of Bier” which was published, Tuesday, February 12, 2019. Daheim will be joined by her friend and fellow author, Candace Robb for a conversation about Daheim’s notable career. The two have been friends since 1993 when they met at a local meeting of the Mystery Writers of America. “By the end of that meeting we were friends for life,” said Robb. Daheim and Robb will be discussing Daheim’s long and productive career, which includes not only the “Bed and Breakfast” series, but the “Alpine” series. There will be some writing tips, perhaps a tall tale or two, and lots of laughs, “Because, of course, it’s Mary Daheim,” Robb said, referring to Daheim’s legendary sense of humor. At 81, how does Daheim keep producing best sellers? “It’s a bit of a mystery, even to me,” she said. But she admits to using the famous writer, Ernest Hemingway’s advice, when he said, “The art of writing is the art of applying the seat of the pants to the seat of the chair.” And that’s pretty much what she does, writing almost everyday for as many hours as she can. When it comes to what she writes, Daheim makes it up as she goes along—without an outline. 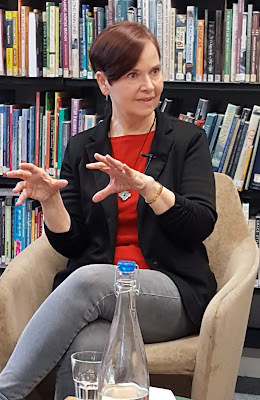 “I like to be surprised along with my readers.” Although she has outlined, at the suggestion of an editor, she still prefers to write spontaneously. Where does Daheim get her ideas from? The Alpine series, which has 27 books in it so far, was inspired by the isolated logging town of Alpine, where her grandparents lived from 1915 until 1920. Her parents moved there in 1926 after they married. “My father had been working on the Alaska fishing boats, and started running the mill boilers in Alpine,” Daheim said. “When the logging parcel was finished, people left on the train and the town was no more,” Daheim said, adding that the Clemans family, who owned the Alpine Lumber Company, moved the logging operation to the Robe Valley in Snohomish. Daheim’s interest in this now abandoned company town spurred the curiosity of her daughter Maggie and her husband Paul, who explored the area and rediscovered the town. And their curiosity spread. “Mary is possibly the only author whose books have stimulated the formation of a group like the Alpine Advocates. These enthusiasts were inspired by her fictional portrayal of Alpine and devote themselves to rediscovering, preserving, and sharing the vibrant history of this lost logging town in the Cascades,” Boatwright said. It’s this deep connection to her own family’s history and a lifetime spent in the Pacific Northwest that helps Daheim convey the uniqueness of our area in her books. Born to Hugh and Monica Richardson, she was raised in Seattle, where she got a degree in journalism at the University of Washington. Then she went to work for a newspaper in Anacortes, where she started to collect ideas for characters that would later show up in her stories. Daheim also spent time working at a newspaper in Port Angeles, after her marriage to the late David Daheim, who worked for MGM in the early years of his career. They eventually moved back to Seattle, where her husband became a respected teacher at Shoreline Community College where he taught English, journalism, cinema, and literature, and acted as the school’s newspaper advisor. Their three daughters wandered a little farther from home than their mother, who lives only three miles from where she was born. But they all still live in the greater Seattle area. Daheim also has three grandchildren. After some years in journalism, Daheim turned to work in public relations. Then, back in the 1980s, she began writing romance novels. After publishing several of those, she began writing the two series she is so well known for. Her work has appeared in several anthologies as well. Sisters in Crime is a national organization that was founded in 1987 to promote the ongoing advancement, recognition and professional development of women crime writers. For more information on Daheim’s work, visit her website. Purchase her books at Third Place Books. 3-21-19 Corrected nickname "Bud" to "Bug". Logging operation was in the Robe Valley.